Presented to a pharmacist who has demonstrated dedication to the profession of pharmacy, furthered the profession of pharmacy through community service and embodied those qualities of attitude and leadership which exemplify the profession. It should be noted that this is the highest award of the Society and should be only given to someone who has outstanding and lasting contributions to the profession that will endure for a long period. The nominee must be a current CPS member. This award recognizes an outstanding student who has shown dedication to advancing the profession of pharmacy, especially as it is practiced in Colorado. This dedication may be demonstrated through activities and involvement in pharmacy organizations, volunteer activities, and legislative advocacy. The award recipient will have taken on leadership roles and encouraged fellow students to advocate for the pharmacy profession. Must be a current active P1 to P4 student at a Colorado school of pharmacy and in good academic standing. This award recognizes an outstanding pharmacy technician who has shown dedication to advancing the profession of pharmacy, especially as it is practiced in Colorado. This dedication may be demonstrated through activities and involvement in pharmacy organizations, volunteer activities, and legislative advocacy. The award recipient will have taken on leadership roles and encouraged fellow technicians to advocate for the pharmacy profession. This award is given in recognition of an individual association member who has made considerable contributions in terms of community service which may include involvement in governmental activities separate from, or in addition to, his or her job. The recipient must be a licensed pharmacist practicing in Colorado and a member of the Association. The recipient has not been a previous recipient of the award. The recipient is not currently serving nor has he/she served within the immediate past two years as an officer of the Association in other than an exofficio capacity. The recipient has compiled an outstanding record of community service, which, apart from his/her specific identification as a pharmacist, reflects well on the profession. The recipient must have received his/her entry degree in Pharmacy less than nine years ago. The recipient must be licensed to practice in Colorado. The recipient must be a member of the Association in the year selected. The recipient must have practiced retail, hospital, or consulting pharmacy in the year selected. The recipient must have participated in national pharmacy associations, professional programs and/or community service. This award program recognizes excellence in community-based prescription drug abuse prevention at state pharmacy associations. This award honors a pharmacist who has demonstrated outstanding commitment to raising awareness of the dangers of prescription drug abuse among the general public and among the pharmacy community. The award is also intended to encourage educational prevention efforts aimed at patients, youth, and other members of the community. 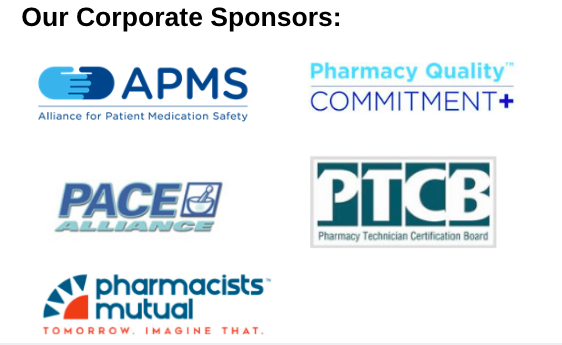 In addition to the award, to honor the pharmacist’s work to fight prescription drug abuse, APMS, state pharmacy associations and the Cardinal Health Foundation will donate $500 to a charity of the award recipient’s choice. Preference will be given to members of the Colorado Pharmacists Society. The award is a national award coordinated by the National Alliance of State Pharmacy Associations, and generously sponsored by Upsher-Smith Laboratories, Inc. to recognize and honor a qualified pharmacist who has demonstrated significant innovation in their respective practice, method or service directly or indirectly resulting in improved patient care and/or advancement of the profession of pharmacy. A nominee should be a practicing pharmacist within Colorado and should have demonstrated innovative pharmacy practice resulting in improved patient care. Preference will be given to members of the Colorado Pharmacists Society.